You scour local property listings. You represent them to prospective buyers so well they don’t want to leave. You live to see the joy on the new homeowners’ faces as you hand them the keys. This real estate job’s made for you! But hang on just a moment. There are dozens of applicants for each real estate agent position. It’s a buyers’ market, in favor of the agency. The competition will be fierce - like Million Dollar Listing New York. How can we make your real estate resume stand out to land you that interview? We’ll go through the checklist for success together, step by step, from the open house to the closing. You’ll soon have a real estate resume and cover letter that closes the deal, as your salesmanship always does. 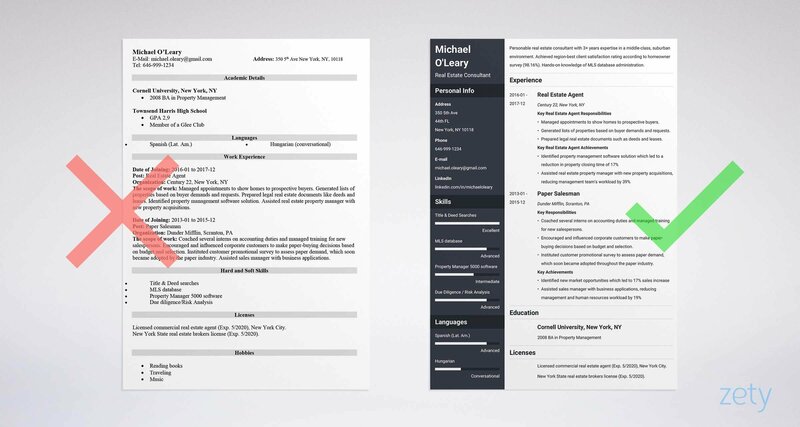 A real estate resume example better than 9 out of 10 other resumes. How to write a real estate resume that will land you more interviews. Tips and examples of how to put skills and achievements on a real estate resume. How to describe experience on a resume for real estate agents to get any job you want. Real Estate Resume Examples - See more templates and create your resume here. What’s the Best Format for a Real Estate Resume? The hiring manager at the agency won’t read your whole resume at first. It gets worse: they’ll take just 6 seconds to scan a resume. That’s 6 seconds to consider you for a real estate interview. You need to use the right real estate resume format that will get on with them like a house on fire. Pro Tip: Is real estate your passion, but you’re not sold on selling it for a living? Perhaps you want to transition from real estate brokering to property management? Read our guide on writing the perfect property management resume. Have you held any of the different jobs in real estate before? Great! You’ve got the upper hand. The reverse-chronological format is best for your experienced real estate agent resume. This format emphasizes your real estate duties, selling experience, and work history. You’ll list your most recent work positions first and go back through past jobs in reverse-chronological order from there. As the most standard format, it tends to be the easiest to read and scan - for hiring managers at the real estate agency and applicant tracking systems (ATS) alike. More on the ATS later, though. But, what if you have a real estate agent resume with no job experience? On an entry-level real estate resume, you’ll still list other jobs you’ve held in reverse-chronological order. However, this time you won’t talk about your professional agent duties and responsibilities. Rather, you’ll highlight relevant skills and achievements from past jobs in bullet points, neatly aligned like the houses on Main St. 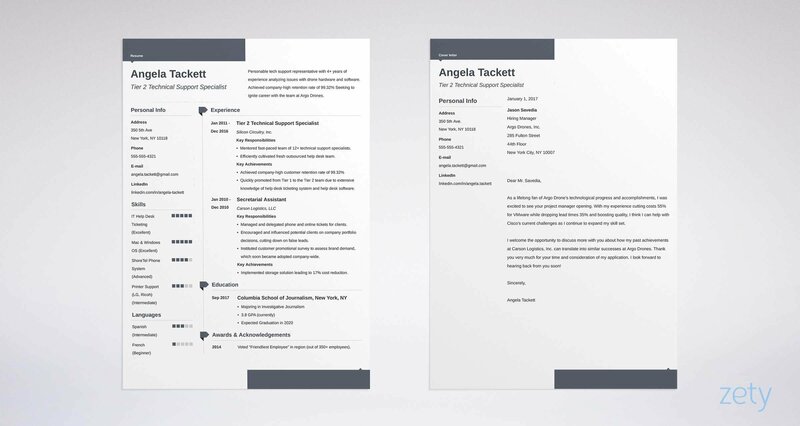 This is the so-called combination resume format. But more on that in our guide. Pick and choose transferable skills to match the real estate job description from the ad. Have no work experience at all? Not to worry! You can start out by writing an unlicensed real estate assistant resume. In this case, the education section moves to the top, followed by other sections (e.g., volunteering, languages), which we’ll talk about more in just a moment. Next, save your resume as a PDF. The real estate resume PDF format keeps the layout in shape. Pro Tip: Check the job posting to make sure PDFs are OK. Some Applicant Tracking Systems (ATS) can clog like an old home’s pipes on a PDF-formatted resume. The ATS scans for keywords, and if it can’t read your file, it’ll assume you can’t do anything right. Not entirely sure about the reverse-chronological format for your real estate resume? See our guide: "3 Resume Formats: How to Choose the Best One [Examples]"
Real Estate Resume Objective or Resume Summary? You want to catch the recruiter’s eye. You want to make an impression. You want them to love you the same way newlyweds love their new home. You’ve got to do this quickly. You need the best real estate resume objective or resume summary. Have experience working amongst professional brokers and estate agents? It highlights your related real estate work history. Personable real estate consultant with 3+ years expertise in a middle-class, suburban environment. Achieved region-best client satisfaction rating according to homeowner survey (98.16%). Hands-on knowledge of MLS database administration and client management software. I have been a real estate agent for the last 3 years. In addition to my knowledge of showing and selling family houses, I also carried out various administrative duties (e.g., organizing paperwork, answering calls) during slow hours. Take the “Wrong” one: it’s great that you were able to handle those various office duties. However - and no disrespect - but who cares? You’re just listing regular real estate tasks as if they were vocational accomplishments, which they aren’t. In the first example, you give evidence of your real estate skills and experience by including a proud achievement to close the deal. An area of a real estate resume that is often neglected is that of showing what client relationships were built and how. The importance of maintaining long-term clients can sometimes be more important than obtaining new clients so consider including client retention or referral rates. It's also important to add value to clients to keep them on board so if you've blogged or created a newsletter with market information and expert advice, be sure to mention it. Don’t have any experience working in the real estate position you’re applying for? That’s fine. Many first-time agents are in the same boat. It highlights your real estate skills and qualities. Diligent salesman with 5+ years experience with small paper company. Obtained highest satisfaction rating with clients (98.2%). Seeking to further career by growing with the Realest Eight property management team as the new real estate agent consultant. I am a salesman eager to become a real estate consultant. I don’t have experience in property management or real estate, but many people say that I am a fast learner and highly motivated. The Realest Eight property management company is taking a bigger chance by hiring someone without experience - in this case a paper salesman for the real estate consultant role. You’ll need to show them that you have what it takes. In the first one, we used some transferable skills from the paper company and some proud achievements for the win. The second one doesn’t show enough to hold the hiring manager’s attention. Pro Tip: Personalize your real estate resume example by dropping the agency’s name into your resume summary or objective. That’s not only what you’d like to tell your clients when they purchase a property from you - it’s the reaction we want from the hiring manager when they look at your professional real estate agent resume. To get there, we’ll rave about your experience in a way which brings down the house. Held a real estate position before? Great! You’ve got a head start. Still, pick the best real estate responsibilities that match the agency’s interests. Managed appointments to show homes to prospective buyers. Generated lists of available properties based on buyer demands and requests. Prepared legal real estate documents such as deeds and leases. Coordinated appointments between buyers and sellers. Contacted clients in a friendly and engaging manner. Responsible for preparing buyers’ property lists. The “wrong” example seems fine, at first - we explained your real estate duties and tasks. However, that’s just it: those were your everyday property agent duties and responsibilities. In the “right” example, we itemized your real estate agent duties in more detail, and then included achievements with quantifiable numbers for the win. Trade Trifles & Trivia: A real estate agent resume is not the same as a realtor resume. Though people often use these terms synonymously, a realtor is someone who is a member of the National Association of REALTORS (NAR), while real estate agents are simply licensed in a particular location to see real estate properties. Never worked in real estate before? We just need to find a way to show the boss that you’re someone to write home about. Coached several interns on accounting duties and managed training for new salespersons. Encouraged and influenced corporate customers to make paper-buying decisions based on budget and selection. Instituted customer promotional survey to assess paper demand, which soon became adopted throughout the paper industry. At first, having a resume for a paper salesman doesn’t seem anything like a real estate job. But, we played up those duties and achievements which translate well into a new real estate agent resume and sealed the deal. Pro Tip: Take some time to think about your past jobs. Which areas relate best to having strong real estate agent or realtor skills and techniques? Pick those for your real estate resume. Is Your Education Section Undervalued? It Might Be. The education section - a waste of resume real estate, right? The education section is a valuable part of the best real estate resumes. In the case of those without experience, the education section becomes the most important. So, how should we put your education on your full- or part-time real estate resume? Pro Tip: On your real estate resume, when applicable, only include your GPA if it is as close to 4.0 as possible. Too low will hurt instead of help. We don’t want that! A great real estate resume. We’ll play up your real estate skills and include the perfect ones for the best resume for property agents. A skills section on your resume for real estate agents is like the list of properties you’ll print out for a buyer - important, but only the right ones. You can’t include apartments if the buyer only wants a single-family house. Also, not too much and not too little. How do we add just the right amount of skills to describe your job experience? First, let’s make a list of some generic hard and soft skills to put on a real estate resume. Hard skills are specific abilities and know-how (e.g., Property Manager 5000 software). Soft resume skills are self-developed, life-learned attributes (e.g., people skills). What are some skills for real estate and realtor resumes? However! These are good skills for a resume - for average real estate resume examples. Neither should your real estate resume be. To make your resume unique, we can’t just list these generic skills relevant to real estate agents. It’s time to browse the job listing like the MLS database, but instead of finding the perfect starter home, we will underline resume keywords that match the wants and needs of the real estate agency’s manager. Pro Tip: Try this: Type a bunch of your skills for real estate into an Excel column, with a number (1-10) of importance and real estate relevance in the adjacent column. Then, filter the worst ones down like a picky buyer until you have the best 5 or 6. In the second one, your laziness is obvious - you googled “real estate skills” and just stuck them in. In the first one, you look like just who the real estate agency manager was looking for. Pro Tip: Sold a house? Or did you close on a delightful detached, single-family home? Use action verbs and colorful words to make your resume more appealing. However, watch out for too much flourish and exaggerated descriptions - some recruiters may consider them inappropriate. Trade Trifles & Trivia: There is no one realtor job description, as a realtor is simply a member of the National Association of REALTORS (NAR). A realtor resume might actually be a real estate broker resume, a real estate manager resume, a real estate appraiser resume, or something else. You’ve got the foundation, but it’s still missing a certain something. Extra resume sections make your resume more unique. Everybody puts their name, experience, and so on. This is where you’ll list some relevant things that you’re proud of. You have every right to be proud of these accomplishments - hell, I would be. However, they’re just not relevant on a real estate agent resume. I’ll go over some of the most popular additional sections for your resume for real estate jobs now, along with some better, more relevant examples. Earned a food safety certificate when you worked as a barista some years back? Impressive, but not relevant. However, almost every agent needs some kind of real estate licensing. Licensed commercial real estate agent (Exp. 5/2020), New York City. New York State real estate brokers license (Exp. 5/2020). Remember, a license on a real estate agent’s resume is a vote of confidence. Make sure you list it. Make sure it hasn’t expired. Volunteered after Hurricane Humphrey reconstructing homes. 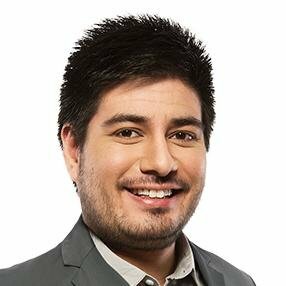 Local entertainment and events blogger. Being a blogger on local events and entertainment shows that you know the ins and outs of the neighborhood - a must-have as a salesperson. Know another language? That could be very helpful on a real estate resume, and maybe a necessity. Knowing another language is may be required in neighborhoods with a large immigrant population, for example. Pro Tip: Don’t add too many extra sections on your resume for real estate agents. Add only enough extra sections to fill the rest of the current resume page - not more that it spills over onto a new one. Would you close on a house sale and not give the nice family the keys? No, right? A resume without its cover letter is the same thing - not ready to hand over. You’ve taken your time on your real estate resume identifying the format, adding the right sections, and putting it all together. Explain why this particular real estate job excites you. Drop names - name the hiring manager and real estate agency to personalize it. Inform them why they need you for this property management job. When your best client calls you up, do you simply answer with a, “Hey you!”? Of course not. Neither does the executive at the real estate agency you’re trying to get hired at. Do like a 5-star boutique hotel with a VIP guest and address them by name in the real estate cover letter. Mention something about the realty agency that you relate with. You dropped their name and caught their attention - now seal the deal with this next personalization. Be witty. Be charming. Be clever. Positively grab their attention - it will mean more than degrees and certifications you list in your real estate resume. Pro Tip: Research the realty agency online and mention something in particular that stands out to you. This is something a resume can’t include and will really catch their eye! Did you know that our resume builder doubles as a cover letter builder and will also help you write a professional cover letter for a real estate job? For more, read our cover letter tips or find out exactly what to include on a cover letter. Trade Trifles & Trivia: The realtor description from the National Association of REALTORS (NAR) states that a member must adhere to the 17 Articles in the REALTOR Code of Ethics. If you aren’t familiar, you are probably not writing a resume for realtors, but rather a resume for real estate agents. Personalize, Personalize, Personalize. The realty agency manager will be taking in dozens of applications. Address them by name in the cover letter. Mention the real estate agency in the heading. Make yours stand out. You want to join them, so make them need you. You’re eager to take this real estate job, so be all in. Jazz it up with action verbs and impressive achievements to wow them. Paint the best picture of yourself. Double- and triple-check. Spend an extra few minutes making sure that your real estate agent resume and cover letter are up to par. You now should have a creative resume for real estate jobs that’s sure to wow them. Time to attach the final cover letter and resume to an email and send it off. Fingers crossed! Do you have any questions on how to write a real estate resume? Not sure how to describe your real estate skills or achievements? Give us a shout in the comments below and we will answer your question. Thanks for reading! A step-by-step guide to writing a property manager resume. 20+ actionable examples, tips from experts, and a sample resume for property management jobs. A complete guide to creating a consultant resume with examples. Get resume writing tips on how to showcase your experience, education and achievements. Learn tricks to write a professional consultant cover letter.